Apartments in a central position, Mobilcard Südtirol included in price & countless possibilities for active vacationers in the environs. Welcome to Villa Pircher in Seis am Schlern! Our holiday apartments of Villa Pircher are located nearby the centre of Seis am Schlern, surrounded by meadows and forests, in a quiet position with a wonderful panoramic view. 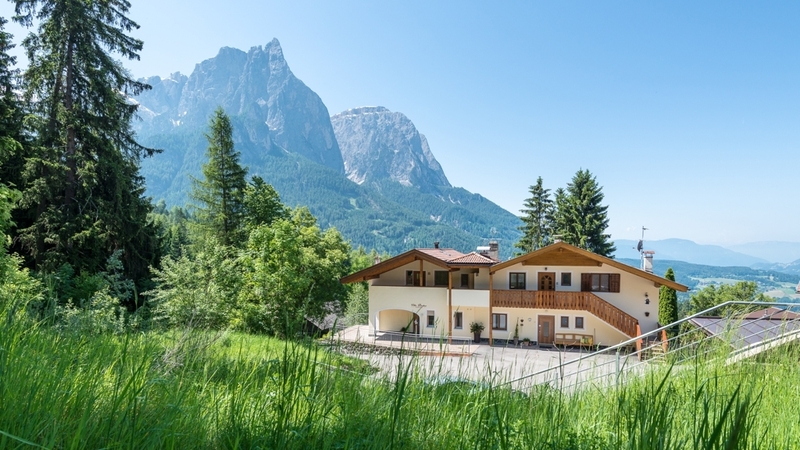 They are the perfect accommodation for everybody, who likes hiking, skiing, swimming, cross-country skiing or simply relaxing during its holidays in South Tyrol. 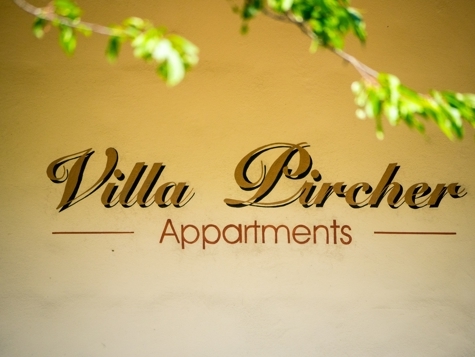 The cosy holiday flats of Villa Pircher are new and offer room for 2-5 persons. Every apartment provides a balcony or a garden, 1 or 2 double rooms, 1 or 2 bath rooms and a living room with fully equipped kitchen, satellite TV and safe. Villa Pircher offers also a car park, a garden with bench and table and a sandpit for our little guests. On request you can enjoy also our bread service for a good start in the day. The region Seiser Alm is a popular holiday destination for young and old all the year round. In winter you can go skiing, snowshoe hiking or cross-country skiing in front of the wonderful panorama of the Dolomites. In summer you can discover the unique landscape during a hike or a mountain bike tour. Our own alpine hut, which is located only 500 metres from the slopes away, is an ideal place to take a break and to relax.